The TS intermediate practical hall tickets 2020 were sent to the colleges and it was also put on bie.telangana.gov.in at Board / College Login section. There is no availability to the students to download the hall ticket from website directly. The Government of Telangana will made the hall tickets for Intermediate exam available to all the candidates soon on the official website. The board will be conducting the Intermediate Practicals exam for the second year from 1st February to 20th February 2020. The candidates who had applied for the exam have been waiting for the hall tickets ever since. The government of Telangana will release the hall tickets soon and those who had applied can download them from the official website or from the link provided below. Earlier Board of Intermediate Education Telangana Released TS Intermediate Second Year practical Exam time table 2019 to be held From 1st February to 20th February 2020 along with Jumbling Systems including Sundays ( maha sivratri) also. Before going to appeared to Piratical Examinations candidates can be Download telangana 2nd year practicals hall tickets 2020 through online. TS intermediate second year theory Public Examinations are scheduled to be held from 1st March 2020 during 9 AM to 12 Pm . All the applied students are eagerly waiting for the TS Inter Practicals Admit cards 2020 it is available through online also know the examination centers. 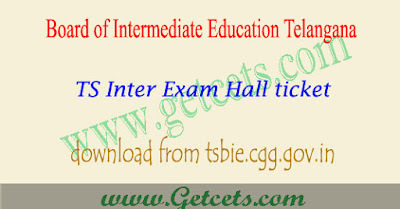 From the academic year TS Government arranged CC Cameras all the Centers across the Telangana State , TS Inter 2nd Year Practical Hall Tickets 2020 Name Wise available on board website and also available at www.manabadi.com, www.schools9.com. Meanwhile, ethics and human values examination will be conducted on January 28, 2020, and environmental education examination on January 30. The practical examinations are proposed to be held between February 1 and 20 for both regular and vocational students. The intermediate arrangements have been made to conduct the practical examination of students’ for intermediate science group. The practical examinations will be held in four phases from February 1 to 20. Exam takes between 9 to 12 hours daily and 2-5 hours in the afternoon. Each batch consists of 20 students. 3,27,761 people will attend the entire state. The examination centers were set up in 1,733 government, aided, residential, social welfare and private colleges. Inter board secretary Ashok said the question paper should be downloaded from the website before half an hour. Examiner only needs to download the practical question paper through one time password. The marks of the students should be sent online at the same day. a) Ethics and Human Values Examination is proposed to be conducted on 28-01-2020 January from 10.00 AM to 1.00 PM as was done earlier. b) Environmental Education Examination is proposed to be conducted on 30-01-2020 January from 10.00 AM to 1.00 PM as was done earlier. The Practical Examinations are proposed in 01-02-2020 to 20-02-2020 February (including Sundays) for both General Intermediate and Vocational courses. The TS intermediate practical hall tickets 2020 will be displayed on the screen.